In my role as a physician and a scientist, I want to thank the United Kingdom (UK) for its contribution to the basic and medical sciences and for the leadership that this country has always represented traditionally in human sciences. I would not be here as the leader of the European Reference Network (ERN) for Metabolic Disorders if Sir Archibald Garrod had not started the unravelling of complex metabolic diseases in 1902 in Cambridge. He described four diseases linked together by a common metabolic pathway. Now we know of more than 1,000 diseases. 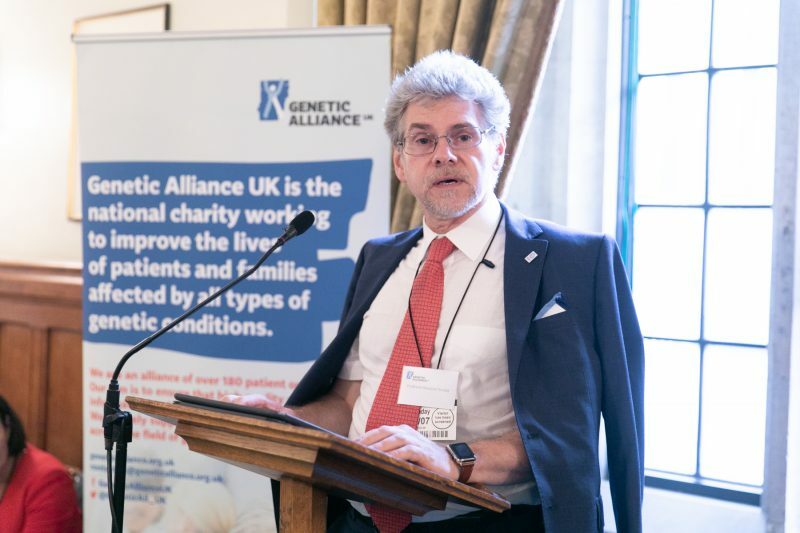 Thanks to the studies of important UK scientists, we have understood the causes of diseases, how to diagnose patients and how to identify treatments. Care for patients is our collective ethical duty. 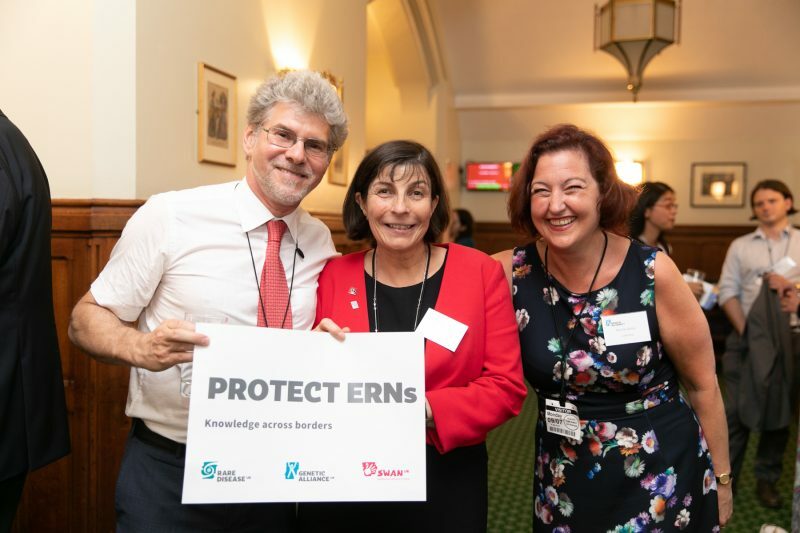 ERNs are one of the most ambitious and complex collaborations between expert healthcare providers and clinicians legally based on an EU directive (The Cross-Border Healthcare Directive published in 2011). This give patients the right to seek diagnosis and treatment across borders under certain provisions, if it is not available in their own country. 24 brave clinicians have risen to this challenge and have realised the most outstanding network, unique in the world, involving about 20,000 healthcare professionals in 300 hospitals in 26 countries, and taking care of approximately one million rare disease patients. Approximately 150,000 patients are under the care of the 35 UK hospitals and 129 healthcare professionals inside 23 ERNs. This accounts for about 20-25% of all patients under ERNs. We must think about these patients. All patients with a rare or highly complex condition, requiring a multidisciplinary team, highly technological research and the support of therapies developed by industries translating brilliant ideas into innovative therapies. This is what UK has represented so far – the leader in ideas, proof of concepts and innovative therapy. For example, in the metabolic field, Manchester University and Great Ormond Street Hospital have always been a European leader in experimenting new therapies; most of them are available worldwide. Cambridge University and Oxford University are top leaders in creating new therapies and gene therapies. The European Union (EU) has created tools (such as the Clinical Patient Management System) to speed up virtual consultations among experts to create faster access to new therapies and procedures. More than 200 patients have been evaluated so far and two UK ERNs, the ERN eUROGEN (rare and complex urogenital diseases and conditions), coordinated by a UK leader Professor Christopher Chapple, and ITHACA (rare congenital malformations and rare intellectual disability) led by another UK scientist, Professor Jill Clayton Smith, are the current most active users of this platform. Each ERN is developing guidelines, new methods for diagnostics, systems to evaluate the efficacy and safety of therapies, connection with important stakeholders, to help every country in offering the best follow up help to each patient affected by rare diseases and highly complex conditions. As coordinator of the MetabERN and representative of the team at the ERN Coordinators Group, I can ensure that we will do everything to continue to collaborate with our UK colleagues in the interest of the patients. Nobody will be left behind. No patients will be left without the help of the ERNs when needed. I believe that this is a difficult historical moment for the world and for the EU, when everything is put under discussion, when even what we thought were undiscussable social and political achievements, now are argued to be not sustainable. This historical moment will move us in finding new opportunities to better work together, to continue to share aims and vision, to help better our patients to whom we must continue to be faithful and whom should drive our decisions. Our patients will remain at the heart of everything we do.